With consumers making the transition from traditional purchasing methods to more modern forms, it’s time for businesses to follow suit when it comes to their marketing tactics. Consumers are being drawn to digital marketing material such as emails, texts, and websites to make their purchases instead of the old school billboards, flyers, and mail ways. “Digital Marketing has become the sensation of this millennium as well as acting as a savior for all types of businesses. It is a set of tools and marketing strategies to promote your brands and services through the internet medium.” Moreover, if businesses expect to compete with other competition and increase sales, they need to incorporate digital marketing tactics to their business model. So what is digital marketing…. “Digital marketing encompasses all marketing efforts that use an electronic device or the internet. Businesses leverage digital channels such as search engines, social media, email, and their websites to connect with current and prospective customers.” The best way to reach out to patients now is typically right to their mobile device or computer since they spend so much time there. If you can reach them right on their device, you make it easy for them to make a purchase. How does this effect contact lens sales? Typically, when a patient sees their eye doctor for their annual eye exam, they are looking to leave with a new pair of glasses, or in this case, a contact lens supply. Now the problem is that many patients will only purchase what their insurance will cover and nothing more. This gives the Doctor’s office a challenge to try and retain that patient throughout the entire year until their next exam. A business-savvy doctor’s office will have a digital marketing strategy in place to reach out to patients throughout the year. Reminding patients that they have to purchase additional lenses at the right time is critical for practices to generate revenue. A simple email or text to a patient can be the difference on whether they re-order from their Doctor’s office or take their business elsewhere to a company made it easy to remember and purchase their next lens supply. In this digital age where technology is a major factor in consumer sales, it’s only right to market to them digitally as well. Connecting with patients first hand via cell phone, laptop, etc. is the easiest and most effective way to get their direct and undivided attention. This can transition to an increase in branding and patient reach when it comes to patients needing contacts. Making the complete switch to digital marketing not only is beneficial for the office in sales, but great for the patient to have ease of access to the contacts they need. Need a headstart on some contact lens digital marketing material? Check out these free templates. Our world is becoming increasingly digitized, with entire generations coming of age never knowing a world without the internet, social media, or smartphones. That means that every business must have an online presence. With over 1.2 billion daily active users, Facebook is a key platform for your business. One of the best things you can do for your business is to be present with your patients. 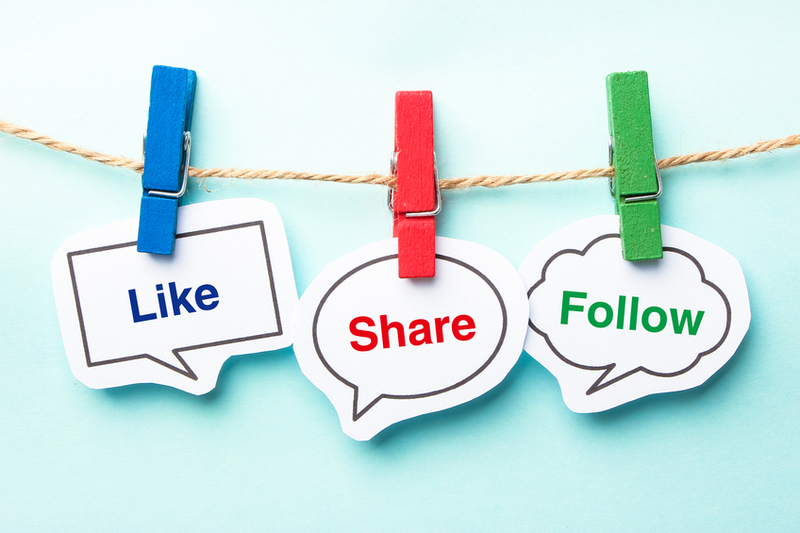 By showing up on your social media channels and posting items personal to your practice that are of interest to your patients, you help your patients create an emotional connection to your practice. When a patient feels they are truly in a relationship with you, they’re less likely to try going somewhere else. Try to find a balance between informative posts and personal interest stories about the current goings-on in your office. Having a sale or hosting a trunk show? Put it on Facebook! Creating an event helps spread the word about special happenings in your practice and drives foot traffic through the door. In addition, Facebook events can be visible to people in your area who might be unfamiliar with your practice. This can help new patients find you! A boost post is a regular Facebook post that you pay to promote to an audience of your choice. This is a great way to promote your practice and raise awareness outside of your existing patients. Choose people who like your Page, extend it to their friends, or select a new audience filtered by age, location, interests and more. You select your budget for the post, and Facebook will only charge you based on the number of views you get within your budget. Creating an Offer allows you to input the specifics of a sale you’re offering, like a coupon. Unlike a regular Facebook Page post, people who save your offer will get reminder notifications before it expires so they don’t forget to use it. Offers can also be boosted. If you’re looking to grow your online presence, offering a deal exclusively on Facebook could help you drive traffic to your page and encourage people to Like and follow you online. Start planning now! According to Chad White a research director for Litmus, “On average, retailers increase their email frequency to their subscribers by roughly 50% during November and December, compared to non-holiday months.” Prime Nexus allows you to create email campaigns and save them or set them to go out at a scheduled time. This feature allows you to get all the busy work finished now so that when the crowds come rushing in to spend the rest of their FSA/HSA money at the end of the year, you can focus on your patients and let Prime Nexus do the marketing for you. Take advantage of high return on ad spend. Return on ad spend (or ROAS) is calculated by taking the revenue gained from a certain ad and dividing it by the cost of the ad (Big Commerce). Our Prime Nexus service is a subscription-based model, which means you are paying a fixed cost. With that said, it’s beneficial to take advantage of our campaign feature where you can send emails as many times as you want without adding additional cost. Social media is also a huge marketing opportunity that is low to no-cost for your practice. If you have Premier digital marketing services inquire about the social media posts or custom campaigns they can assist you with. Market to win goodwill. The holidays are all about family, friends and feeling good! Lianna Patch from Punchline Copy shared the idea of running a sales campaign based on goodwill stories from your clients. Keep a list of patients willing and able to share their stories on how your practice has been able to help them or make their experience more pleasant. Sharing testimonies with current and potential customers is a great way to build community support around your business. Prime Nexus even has a built in public survey page filled with patients who have left you good reviews and are willing to share them with the public. Create a sense of urgency tied to an incentive. In the medical industry, this applies heavily to a large percentage of your patients automatically if they have a health spending account that does not roll over year to year. Promoting the use of these benefits well ahead of time will help lessen the chaos of patients trying to cram in last minute appointments and orders. According to Nick Raushenbush cofounder of Shogun Landing Builder, creating a patient facing landing page or can help create a sense of urgency to ensure patients are aware of the timeliness of these benefits. Take advantage of the already created HSA/FSA campaigns in Prime Nexus. Know what action you want customers to take. In other words, have a specific goal in mind when creating campaigns or ads. Do you want to encourage new appointments? Make sure you have an appointment request link available or easily accessible from the ad. Do you want patients to purchase a product? Consider adding in a coupon or discount of some sort to grab their attention. 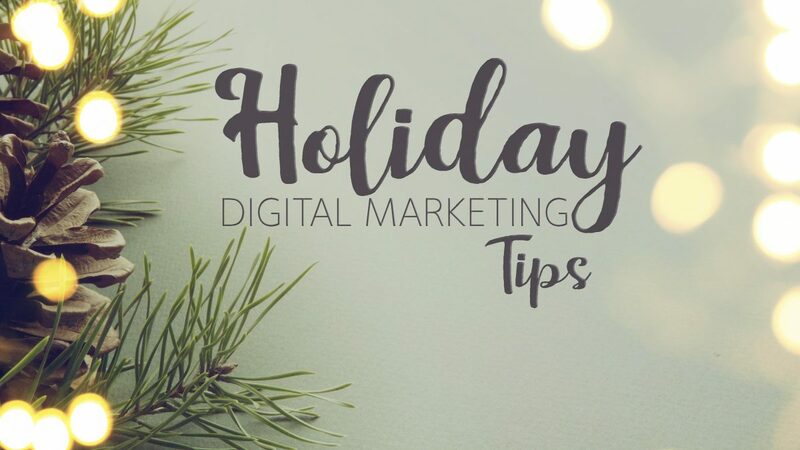 Remember, the holiday season is prime time for ads and sales so you must make yours stand out from the rest. Pay extra attention to mobile! E-commerce is huge during the holiday season. It accounted for almost $110 billion in online sales during November and December 2017. Mobile commerce (purchases made via smartphones and tablets) is growing, which accounts for a larger and larger portion of e-commerce sales each year (33.1% in 2017) with projected growth well into the future (Amy Gesengues The Big Holiday 2017 e-commerce wrap-up). Creating a mobile friendly website will be key to competing for product sales and online appointment requests. Prime Nexus and LensFerry are both built to be mobile optimized for contact lens sales and patient communications. Consider implementing a loyalty program. Holidays are a great time to acquire new patients, but it’s also extremely important to focus on longevity and keeping those customers coming back. Raheem Sarcar, Founder and CEO of RewardCamp stated, “I’ve seen retailers increase repeat business by 300% as a result of converting new customers into repeat customers.” A loyalty program may be a good way to keep patients coming back not only for appointments but for material sales. Offering discounts if patients buy an annual supply of contact lenses is just one example. If that’s not your style or patients aren’t interested in an annual supply up front, consider trying a points system where they receive a gift certificate or some sort of reward after spending “x amount”. The more often a patient returns to your office for business, the more it becomes a habit. The biggest key for consumers in 2018 is convenience; LensFerry offers the convenience of online and mobile patient ordering to help you see repeat business time and time again. Today’s digital landscape is evolving so rapidly, it’s nearly impossible to keep up. During the first quarter of 2018, there was an average of 6,140 new apps released through the Google Play Store every day. Each month, Yelp’s 186 million users post over 150 million reviews. Smartphone use is expected to grow to 2.5 billion worldwide users by 2019. 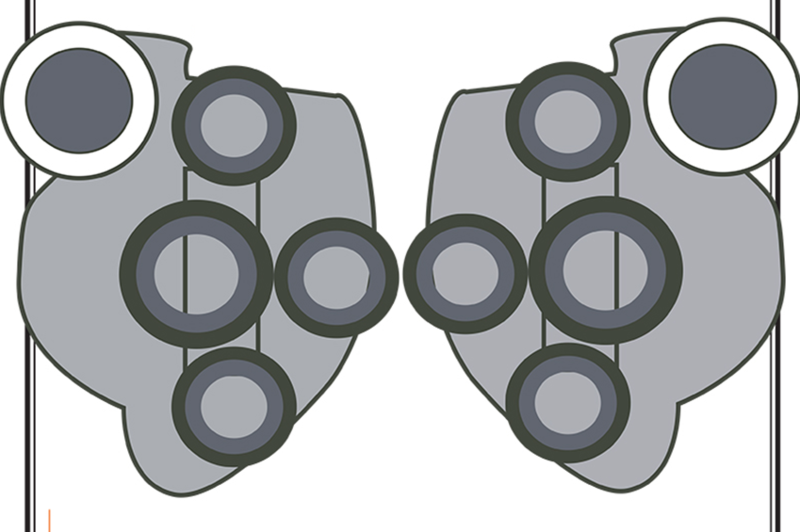 How does this affect your optometry business? Are you able to keep up with your patient’s digital expectations? Is it easy for them to find you online, and interact with your website on their smartphone? Or, are you at risk of losing patients to more tech-savvy practices? Maybe you’re thinking that your patients aren’t that tech savvy, therefore it’s not your concern. A study commissioned by YP Marketing surveyed 750 U.S. adults and asked how they searched for local businesses across major verticals. 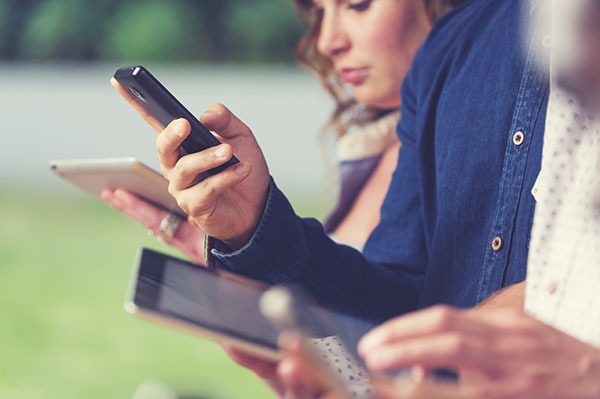 Consumers from all demographics reported that they go back and forth across different sites and apps, virtually “zig-zagging” by using multiple devices from multiple locations. Practices should keep this behavior in mind. Incorporate a variety of devices into your marketing plan so searchers can find you when they “zig-zag.” For example, over 70% of YP’s survey respondents reported that they regularly use two or more devices when conducting a local search. Therefore, a brand’s website and marketing material should be easily accessible in a desktop format and a mobile format to deliver a pleasing experience no matter what device they are using at the time. Try engaging audiences with video content. Do you find you receive frequently asked questions throughout different seasons? Connect and build trust with your audience by sharing helpful health tips and advice through video. It’s estimated that video will account for 82% of consumer internet traffic by 2021. Find a way to mix the “digital” and “physical,” which will create a seamless brand experience. Patients today have come to expect convenience. Make this as easy as possible for them by showcasing your latest frame lines online so they know what to expect when they arrive at your store or consider a contact lens eCommerce solution so they don’t have to make that extra trip. By trying out just a few of these strategies, you’re giving your business the leg up it may need. Let us know how it goes! A powerful marketing asset for businesses is a positive reputation. In today’s digital world, it has become extremely common for people to take their experiences straight to the web. This shift to online reliability has led 92% of consumers to read online reviews when making decisions. Reviews are a key factor in improving customer experience and customer retention. 88% of people will rely on online reviews as much as personal recommendations. While positive reviews are great, it’s important to have a proactive approach with negative reviews. By being proactive, you can show that your office is engaged and values patients’ feedback. Along with responding to reviews, it is important to grow positive reviews. In a recent local consumer survey by Bright Local, 73% of consumers felt that that reviews older than 3 months were not relevant. The more relevant and current reviews your practice has, can directly build the trust of future patients. Reviews also impact search engine optimization and how your business is displayed. Major search engines like Google have specific algorithms in which review count and score are factored into local search rankings: more reviews and positive ratings will help improve a business’s local ranking* (Google My Business). So, how can you gain more current and relevant reviews to grow your online presence? 7 out of 10 consumers will leave a review if they’re asked to*. We are not suggesting you beg your patients for reviews during their appointment. However, requesting feedback from patients at the end of their appointment is a good way to remind them that you value their input. 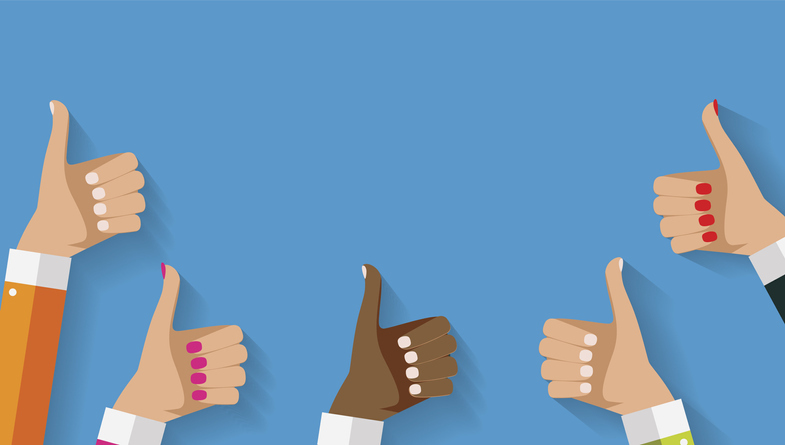 Especially when someone has a good experience, their feedback acts as important information for potential patients to know the services you are promising are validated. 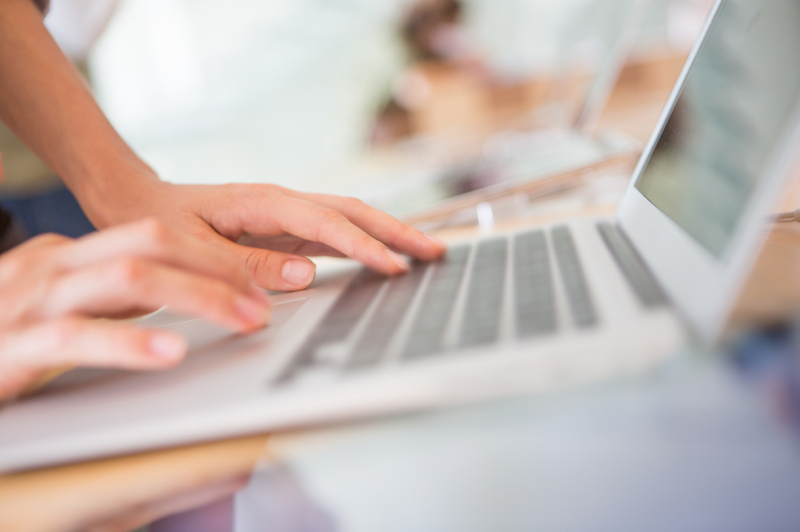 Streamlining the survey process is important in encouraging patients to write reviews. Our patient management system, Nexus, allows patients to post reviews directly on your primary review pages via email or text surveys. This is an easy and fast way to drive traffic to your primary pages and maintain consistent and relevant reviews. Find out more about the importance of texting patients here. Encourage all customer service and sales employees to remind patients to leave reviews. By creating incentives for your employees, you can turn reviews into a friendly competition and make it fun for staff. Another way to integrate reviews as a part of your work process is to remind patients with office signage and counter cards. Whether in the waiting room or in the exam room, visual reminders are an easy way to catch the attention of patients. Fall is here! Nights are getting cooler, the school year has begun and costume planning is underway. An eye exam may have slipped your patient’s mind during this busy season. Take this time to remind them about the importance of their eye health with some relevant information. Check out these three trending topics and download our free images to communicate them to your patients in office, via email and on social media. It is difficult for a vision screening to identify how the eyes work together and does not give any information about the health of the eyes. Professional equipment is important when it comes to getting an accurate reading of the eye. Vision screenings are often not set up in an suitable setting with necessary equipment. 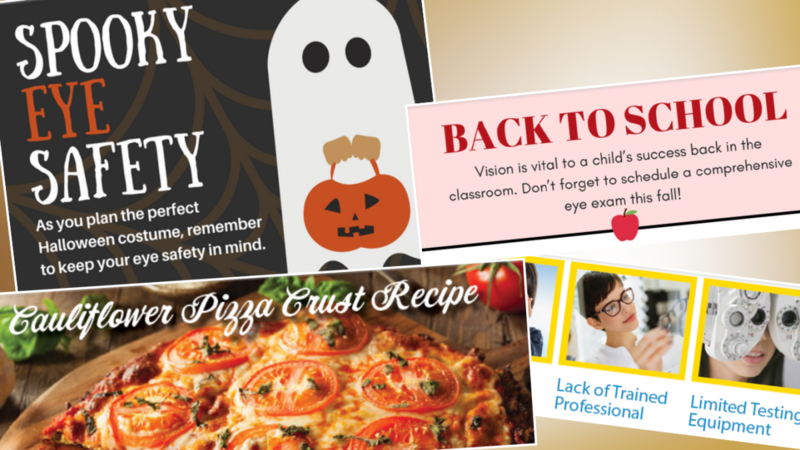 Halloween contact lenses can be a fun addition to any costume, but wearing lenses without a prescription from an eye doctor can lead to serious health issues and potentially (and permanently) damage your eyesight. Cauliflower has a powerful antioxidant called sulforaphane that protects the retina from oxidative stress. Oxidative stress can lead to serious vision issues like cataracts, macular degeneration and even loss of sight. Including sulforaphane in their diet may help protect your patients’ eyes and can be incorporated into easy and yummy dishes. Suggest that your patients try a recipe with Cauliflower. Regular communication with your patients is a fantastic way to ensure they keep coming back to your practice. 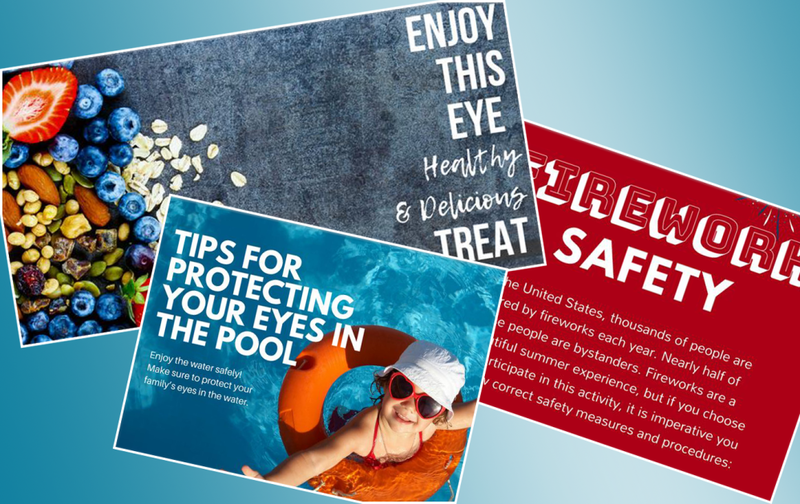 Prime Nexus offers these three topics as visually appealing seasonal email campaigns for an easy patient touchpoint. You’ll be able to reach your patients with information they want to receive. We’re offering a free download of these three trending topics for you to use as you wish. It’s as simple as entering your email below! The day of the print newspaper is quickly fading away which has led 38% of marketing professionals to boost their allowance for digital marketing in recent years. So, what is digital marketing? According to Investopedia, “digital marketing is the use of the internet, mobile devices, social media, search engines, display advertising and other channels to reach consumers.” Since nearly 50% of smartphone owners are reaching for their phones instead of papers seconds after waking up, it is time to move your marketing from print to mobile. A recent survey by the Pew Research Center found that only 11% of U.S. adults are not using the internet. The age group 65 and older makes up most of this 11% however, even only a third of this age group is not online. Digital marketing gives you the (nearly limitless) reach that print marketing cannot. By using digital marketing, it is possible to gain access to a new network of people. These people can include previous, current, and new patients who would not have found your practice without searching and finding it online. IBISWorld states a major threat for optometrists is, “intensifying competition from optical retailers, most notably online distributors, cut into the industry’s ancillary product sales.” Keeping this in mind, it is increasingly important to move online and stay ahead of competitors. Are people opening the promotion I sent? How many people clicked the share button on my website? Are people liking my posts? Gathering this data allows you to create marketing benchmarks and goals as well as performance indicators that will drive your future campaigns to success. If a campaign is unsuccessful and patients do not respond well, the data will show it. Understanding the data allows you to no longer waste time and energy on a marketing flop. Trends, brands, businesses – basically everything is ‘fast’ in today’s society. This means that as soon as something becomes popular, it can just as quickly be yesterday’s news. People are being exposed to new things that catch their attention daily via the internet, so it is important for your practice to catch their attention daily as well. Staying relevant does not have to be hard. It can be as simple as an updating a social media platform or sending out a weekly newsletter via email. Research shows that 80% of people will view a video while only 20% will read long text. Also, a personalized email is likely to be 6 times more effective than not. Adopting these tactics into your marketing strategy will keep patients engaged. Sending a personalized email with a short video relevant to your practice is easy, cost effective and more likely to be read than an ad or newsletter sent by physical mail. Optimize your practice’s reach, sustain good marketing practices through analytics, and ensure engagement with patients to stay relevant. Using these strategies will keep your practice growing in today’s digital world. Interested in shifting your practice over to digital marketing? Checkout Reach, EyeCare Prime’s digital marketing program meant to engage and drive patients toward your practice. Summer is upon us! With vacations, summer camps and pool parties, an eye exam may not be at the top of your patient’s to do lists. Keep your practice at the top of mind with relevant emails and information they’ll want to open and read. 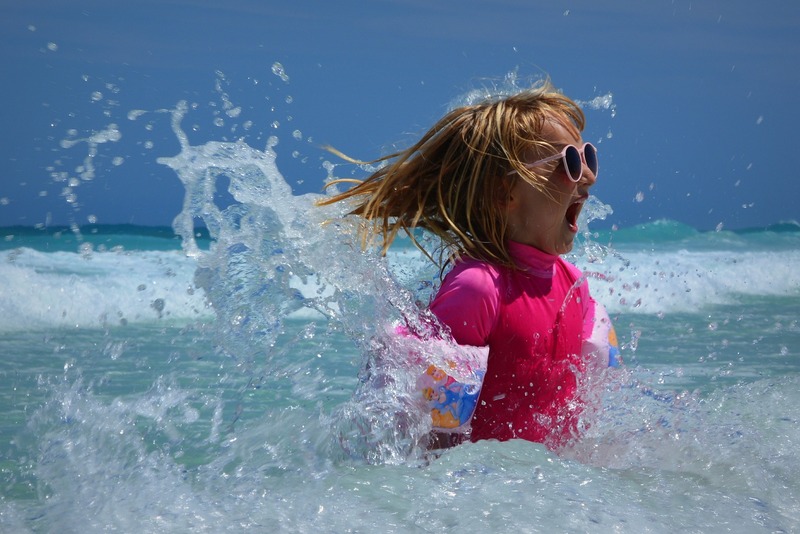 Wear Goggles – Pool water can wash away your eye’s protective tear film and cause irritation. Wear a pair of well- fitting goggles when swimming. Don’t Swim in Contact Lenses – Bacteria can collect on your contact lenses and lead to irritation or infection. Avoid swimming in your contacts. Keep a Pair of Sunglasses Handy – Water is highly reflective, so protect your eyes by wearing sunglasses when hanging by the pool. An Eye Healthy and Popular Treat! The acai berry is packed with energy-boosting nutrients and antioxidants. Antioxidants can prevent the breakdown of hair, teeth, and skin. It can also slow down the effects of macular degeneration (deterioration of the retina causing vision loss). Acai bowls are not only healthy, but delicious as well! Regular communication with your patients is a fantastic way to ensure they keep coming back to your practice. Prime Nexus offers these three topics as visually appealing seasonal email campaigns for an easy patient touch-point. You’ll be able to reach your patients with the information they want to receive. In today’s hyper-connected world, every patient is a critic. Review sites with testimonials by real people are gaining popularity among patients and it is important for practice owners to hone in on basic social media skills. It is reported that 54% of Americans reading online reviews look to negative reviews when making choices according to a survey done by the Pew Research Center. In a day where 92% of consumers are now reading online reviews, it is more important than ever to ensure your practice is handling its online presence carefully. Consumers are writing reviews on every industry from restaurants to airlines. Recently, patients have begun writing reviews on their experience with practices in the healthcare industry. These reviews have become so influential that the healthcare industry is the third most looked at industry for online reviews. Due to HIPPA, the Health Insurance Portability and Accountability Act, healthcare professionals must take extra precautions when responding to unfavorable reviews. Though it is natural to have an urge to defend your practice, it most likely will not be in your best interest to do so directly on sites like Yelp. In an article by the Washington Post, Charles Ornstein outlines healthcare providers who have violated HIPPA attempting to fire back at patients who reviewed them poorly. In one instance, a mother posted a negative Yelp review regarding her daughter’s experience with a chiropractic misdiagnosis. The chiropractor responded outlining the timeline and issues involved with the daughter’s case to which the mother responded was a violation of HIPPA. This review is just one of the 3,500 one-star reviews in which privacy or HIPPA are mentioned on Yelp. So, how can your practice combat negative reviews effectively and legally? 88% of consumers develop opinions by reading up to 10 reviews. If this is the case, it is beneficial for your practice to have an abundance of online reviews so that the good will outweigh the bad. Encourage patients to leave reviews after appointments if they had a good experience (check out Prime Nexus– communication software for the eye care industry meant to drive successful patient to doctor relationships). As Tanya Henry says in an article on the American Medical Association, “one bad review will not destroy your online reputation,” if it is a minority to the positive reviews. Do not use the post as an opportunity to explain yourself and the patient’s situation. A short response such as, “We value our patients and making sure they have the best experience. Please contact us at _____ so we can address your concerns.,” will suffice*. This does not disclose patient information and lets other readers know you are not letting the situation go unnoticed. *If you have questions before you post a response, contact a legal professional to make sure it is HIPPA compliant. Receiving feedback from patients who had poor experiences can be an amazing way to develop your practice. Working with these patients can offer improvements to processes in all areas of the practice. Reaching out to these patients and meeting with them may influence them to combat negative reviews with a positive review in the future. Not only is meeting face to face more beneficial than talking online, it helps avoid any legality issues of disclosing private information. You cannot see who is on the other side of an email or direct message, so encourage the patient to come to the office if they would like to discuss details regarding their case. Your practice’s integrity is important. These tips are meant to help you with handling negative reviews in the best way possible. Did you know that for every completed patient subscription through LensFerry S, we make a donation towards an eye exam for a person in need? 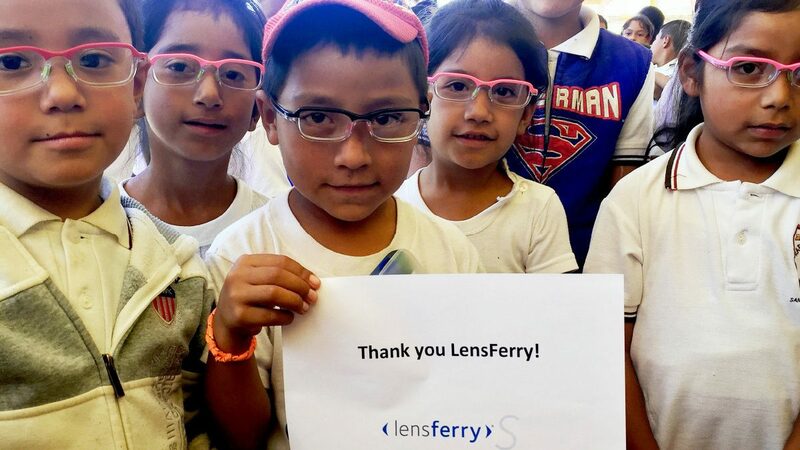 In 2016, members of our LensFerry team visited Oaxaca, Mexico where we donated over 1,000 eye exams and provided glasses to over 150 children in need. The children and families we met were beyond appreciative for the generosity we were able to provide as a result of our customers, their patients, and LensFerry S Gives Sight. Making a difference together. Check out our trip to Oaxaca, Mexico. 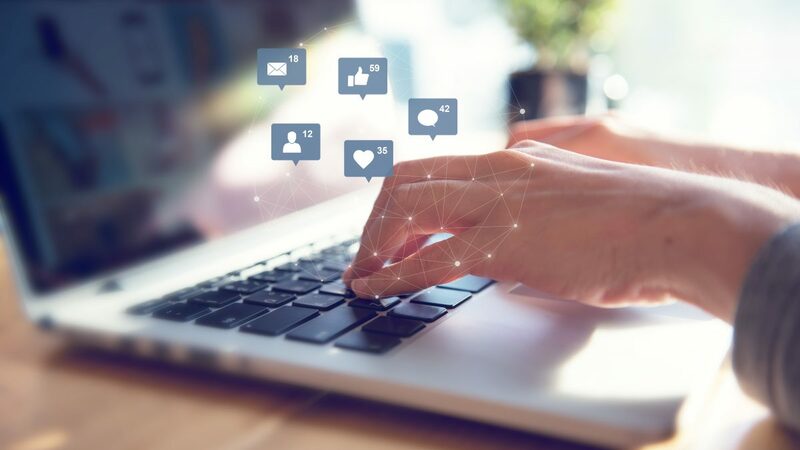 With so many people using Facebook, Twitter, Instagram and other social media sites, social media has emerged as a powerful channel for eye care practitioners to connect with their existing patients and attract new ones. 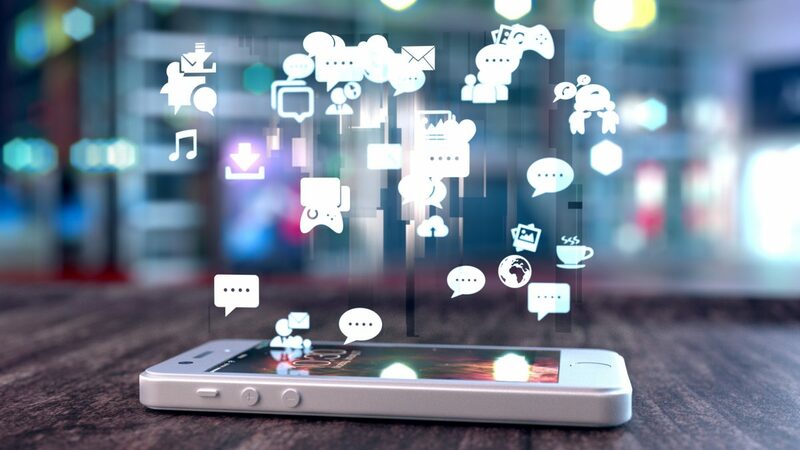 Here are six tips for using social media to grow your business. About 2/3 of American adults use social media–90% of millennials and 35% of people 65 or over. –Pew Research. So here’s the first tip: Show up. The opportunity is just too good to miss. Social media gives your patients the chance to get to know you and develop a real connection with you. If they trust and value you, they’ll stick with you. They’ll post good things about you on social networks, and they’ll share your content. 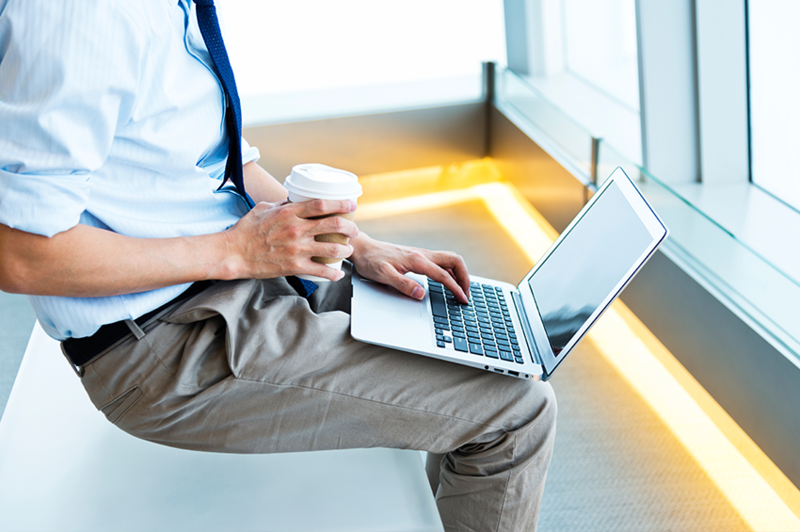 Find out where your patients are spending their time—Facebook, Twitter, etc. That’s where you need to be too. Engage your patients with useful and interesting information. Offer discounts, perks, and contests. Start a conversation. Join an existing one. Just show up. Talk about what you know and what relates to your practice and patient needs—eye care tips, innovations in diagnostic techniques, advances in contact lens technology, etc. Be authentic. Get personal. Tell real stories. If someone on your staff has just returned from a trip to Africa as part of a volunteer team of medical providers, this could be of genuine interest to your patients. Include photos! Ask patients to share their stories and opinions. Remember—social media at its best is an online conversation. The more you post, the more you’ll get a feel for what people like. That said, you don’t need to be a part of every social network. It’s better to have a strong presence on a few networks than a sparse presence on several. Once you’ve determined where your patients spend their time, put your time and energy there. Develop a calendar to schedule content topics and events (special discounts around theme-related content during the holidays, for example). Be sure to include periodic assessments of what’s working and what isn’t (i.e. what posts are getting the most comments, shares, and “Likes”). Use what you learn to plan where to put your efforts next go-around. You may have people on your team who can post regularly to the social media outlets you choose and who can monitor what’s working, what’s not, and decide what to do next. Outsourcing is another possibility. No matter what you do, be sure to keep an open line of communication with the people who handle your social media and schedule periodic check-ins with them. If you do outsource, give the company you partner with plenty of information so they are clear on what kind of practice you have, your goals, your clients, and your personal insights. One advantage in outsourcing is that companies who specialize in these services makes it a point to stay ahead of changing tides in social media. Negative patient experiences shared on social networks can be very damaging to your practice. This is one of the reasons it’s so important for you to stay on top of online reviews. When someone posts a negative comment about you, it’s important that you respond ASAP. Your quick reply demonstrates your accessibility, your concern, and your genuine desire to make good. This can definitely work in your favor. Having the time to monitor your online presence may be challenging for you and your staff, which is another reason why outsourcing can be beneficial. And btw—when you do get those nice reviews, be sure to “like” and share some of them! Whatever you do, remember that mobile devices play an increasingly important part in peoples’ lives (particularly millennials). Do you even know anyone who doesn’t have a mobile device? Take advantage of apps like Facebook and Instagram, where people are posting and checking multiple times a day. Consider offering product or service deals, promo codes with direct links to purchase—and remember that all that good stuff needs to be optimized for mobile devices so that those who are interested in purchasing from you don’t get bogged down with (and turned off by) downloading issues or transactions that don’t work properly. If you’ve got their attention, better make sure you give them a nice, smooth ride. So they keep coming back. Want to learn more? Connect with us or contact a sales representative for more information. Over 85 percent of adults in the U.S. use the internet, so it is no secret that online presence is a necessity in today’s digital age. With a simple search, everything about a doctor and practice can be found almost instantly¬. Make sure your information is correct, up to date, and highlighting the important aspects of your business. According to a Google statistic, 97 percent of online consumers use the internet to search for a local business. Google will often rank completed listings higher than those missing information, so it is important to make sure your business listing information is accurate, complete and up to date. Claim, verify, and update your business information on Google to provide your patients with as much information about your business as possible. It is important to consider how your information shows up on a variety of local listing sites. Make sure your information is synced and optimized with all of these sites. Brands who engage on social media channels will experience higher loyalty from their customers. Creating social pages for your business will provide you with the opportunity to continuously update your customers. Each thing you share will potentially promote a reaction. Each reaction could lead to a new share or page like, which eventually could lead to new patients. Social media provides you with the freedom to post what you want, when you want, and to target who you want. A study found that 53 percent of people who follow brands on social media are more likely to promote that brand. Posting compelling and engaging information will give followers a first hand and personal experience with your practice, thus eventually leading to more page likes, follows, customers, etc. 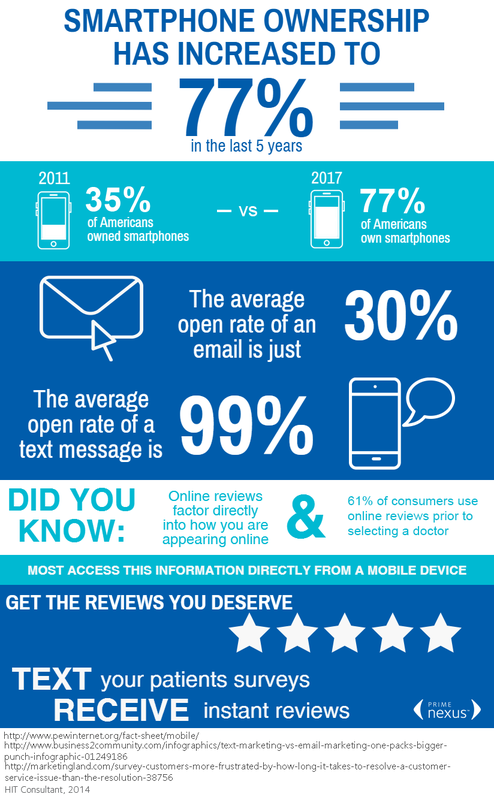 A recent study found that over 62 percent of patients will use online reviews as a first step to find a new doctor. Having a positive presence on review sites will promote new business and help retain already existing patients. Another study found that 45 percent of patients stated quality of care was most important when assessing reviews. After a positive experience, ask patients to leave reviews for you. In order for patients to find you, it is important to target them correctly. Keywords are the words and phrases in the content of your website that will make it possible for patients to find your site via search engines. When designing and updating your website, be sure to add headers, descriptions, and content with information you know a patient will be searching for. Increasing your online presence can do nothing but benefit you in the long run. The sooner you begin, the sooner you will see results. Keep your clients up to date and promote open communication. Gaining loyalty can potentially lead to more business. Continuously update and enhance your business information. Keywords, correct addresses, and rich content will go far to increase your online presence. Considering how many people are out there using mobile devices (not just smartphones, but tablets too), it follows that your website better look as good (and work as well) on those devices as it does on a computer. And there’s a key qualifier in the mix that may determine how or even if people interact with you on your website: speed. 57% of mobile users will abandon your website if it takes more than 3 seconds to load and 30 percent will abandon a purchase transaction if the shopping cart isn’t optimized for mobile devices. Patience may be a virtue. But when it comes to today’s consumer modus operandi, forget it. 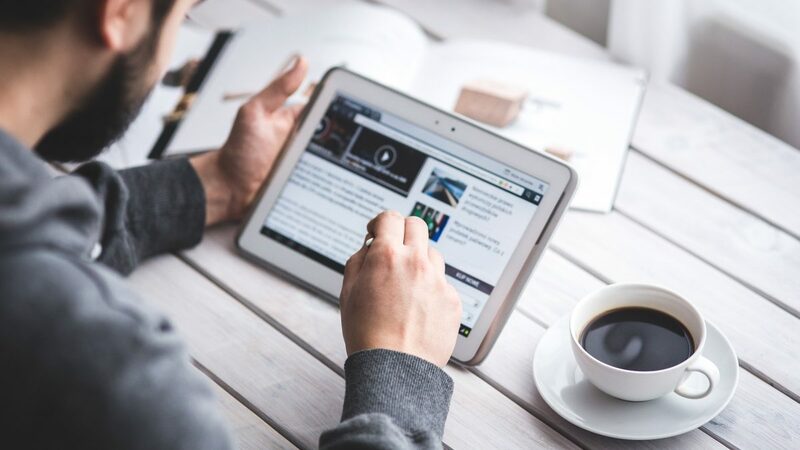 Cross-device consumers simply don’t have the time or desire to wait around for something to work when they can so easily switch to something else that does! Remember, especially among millennials–immediate gratification is the name of the game. 67% of mobile users say that a mobile-friendly site makes them more likely to buy a product or use a service. And that brings us to another important aspect of digital marketing—how people find you in the first place. Sure, a friend could have recommended your practice. But that’s not the only way people find their way to your door. And keep in mind that unless you show up on the first page of online search results, people may not even see you, let alone consider your products and services–no matter how wonderful they are. A Chitika study reports that 92% of Google search users click on first page results. Being “mobile-friendly” will become more and more important as time goes on—for getting people to your site in the first place and for making sure they want to come back. Want to learn more? Contact us at eyecareprime@coopervision.com. Good recommendations play an important part in our purchasing decisions– from restaurants to medical providers. Trust is the key word here and that’s why we tend to favor opinions from our network of friends and family. Now, thanks to the Internet, that network has expanded to include people we will never actually meet. And yet we trust their opinion over the very best paid advertisement. Why? Because the online network is full of people sharing their own personal (read ‘real’) experiences—the good ones and the bad. We perceive their online reviews as potential shortcuts to what we’re really after—a positive experience! A 2014 BrightLocal Survey found that 88% of Internet users trusted online reviews as much as personal recommendations! Think of how that can impact your ECP. Yelp reports that their average monthly visitors (combining desktop and mobile device unique visitors) average more than 161 million. As of early 2016, Facebook’s daily average user count had reached beyond 1.04 billion. 88% of consumers read reviews to determine the quality of a business. 80% go online first when evaluating a medical provider. Now, what does all that mean to you? Lots. People are more likely to share a negative experience than a good one, simply because they usually expect a positive interaction and are angry when they don’t get it. Airing a bad experience via an online review can be a release of frustration and resentment as well as a way to retaliate for a bad product or service. Just seeing the bad review in print and knowing that it’s “out there” is satisfying. Especially considering how many people are likely to see it. Not to mention that your review can save someone else from having a similar negative experience. This is why it’s so important to monitor what people are saying about you online. Just one bad review can be “contagious” and keep patients from coming to your practice. Nothing grows your practice more than happy patients spreading the word—in person and/or online. So you want to encourage those positive reviews and find ways to make it easy for your patients to post them. But even when you receive the occasional negative review, the trust that people have in what they read online can still work to your benefit. You have the opportunity to respond (quickly) with an apology and/or explanation, maybe even a peace offering (a refund or credit). Often, all it takes to win back a patient’s trust is to make them feel they’ve been ‘heard’ and taken seriously. Keep in mind that many people are likely to read the review and your response. This kind of human exchange can reverse the negative effect of a bad review by demonstrating your engagement and genuine desire to make things right. EyeCare Prime Reach can help you manage your online reviews. Want to learn more? Check out what we can do or contact a sales representative for more information. By 2020 millennials are projected to spend $1.4 trillion a year. * No wonder brands are making major efforts to connect with this generation. What’s the magic word? ‘Engage.’ 62% of millennials say that if a brand engages with them on social networks, they are more likely to become a loyal customer. ** So just being present on social networks isn’t enough. Provide genuinely useful information, tips, and deals. Trust plays big with millennials. They’re not taken in by advertisement. They look to people, not companies, for answers. Blogs and online reviews play a big role in influencing a millennial’s purchasing decisions. 80% of consumers go online first when evaluating a medical provider. First impressions count. You’d better be sure your listings are visible, up to date, and consistent, and that your reviews are positive. 80% of consumers go online first when evaluating a medical provider. 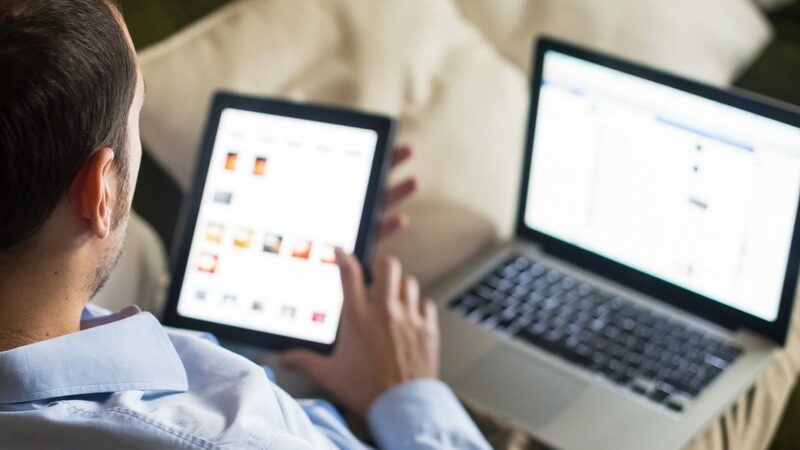 Millennials are consuming content across multiple devices all day long. So be sure your content has multi-platform accessibility—desktop, mobile, and tablet. Also, be sure you’re “new platform”-friendly. Millennials are the first to check out new technology. You need to be able to continue engaging with them on these new platforms. You bet. If they like you, they’ll stay with you. They’ll even post nice things about you online and refer you to their friends and family. But you need to reach millennials early and keep them engaged. Many of them expect targeted promotions and discounts as compensation for their loyalty. Which brings us to the another key aspect of reaching millennials. . .
Millennials love social media and they’ll happily connect with you there. But they expect to be treated nicely when they do. And they’re always looking for deals. Hey, why not? Think rewards–discount coupons, freebies, and privileges—anything you can do to enhance their customer experience. And remember—millennials like instant gratification. Does all this sound like a lot to do? It doesn’t have to be. EyeCare Prime Reach is an affordable digital marketing solution to build your online presence by ensuring accuracy in all your listings, managing reviews, and expanding your social media footprint. Want to learn more? Contact a Sales Representative for more information.